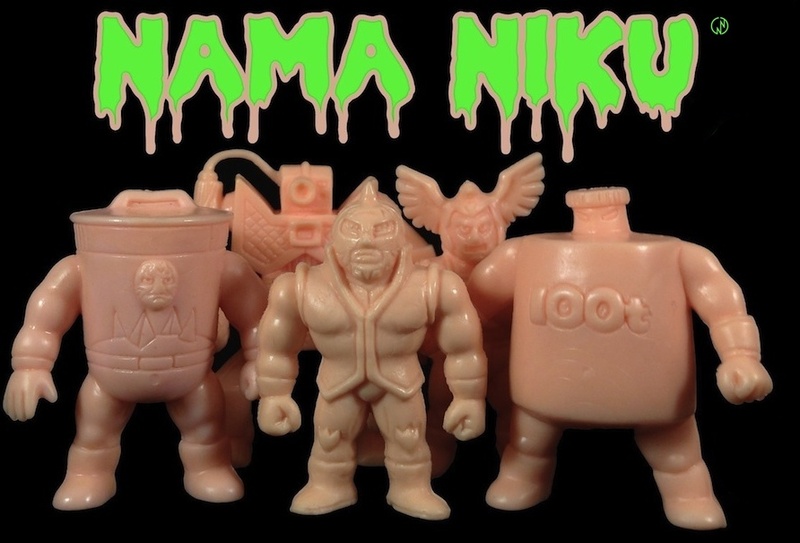 Nama Niku Kinnikuman News: The Definitive M.U.S.C.L.E. Kinkeshi 10 Pack Auction! The Definitive M.U.S.C.L.E. Kinkeshi 10 Pack Auction! After Shimada-sensei showed off his recently aquired M.U.S.C.L.E. 10 Pack on Twitter last month, the cost of these suckers has skyrocketed! A sealed flesh 10 pack sold on eBay yesterday for a record $202.50, and now perhaps the greatest 10 Pack Listing of all time is up and running. All three possible variations of the M.U.S.C.L.E. 10 pack (Flesh, Colored and Half Colored/Half Flesh) are now up on eBay together in a single listing! Check out the original commercial where the 10 packs were first mentioned ~ Thank you Yudetamago for bringing Muscle Mania to America! The Auction Ends December 19th, so Bid Now! BamBam88 - WWE Legends Collection! Kinnikumart ~ Ultimate Muscle Galore! Nama Niku Yudetamago Interview Exclusive! Ramenman Batting for the Japanese Big Leagues? Geronimo - Screaming for Vengeance! CCP Hell Missionaries LED Figures! クロス・ボンバー!! !